What better what to get an exhilarating rush then go jet skiing in Bermuda. It doesn't matter if it is your first time or one hundredth time. We list the best places in Bermuda to rent a jet ski or to learn how to jet ski. The K.S. 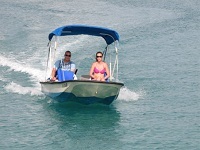 WaterSports is the best company for fun and excitement in Bermuda. It is a family owned and operated business which was established in 2001. This company provides many kinds of outdoor watersport opportunities throughout Bermuda like Jet Ski Rentals, Parasailing, and high-speed "WildCat" boat rides/tours and many more. The Jet Ski Adventures are the top opportunity provided by this company for the local and international tourists and every year almost ten thousand guests take this opportunity from this renowned company. The Somerset Bridge Watersports is a family owned business which has twenty five years of previous experience in the field of water sports. This level of experience also shows that it is doing something special. 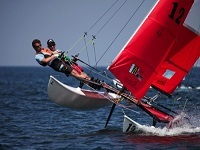 This famous company provides many water sport events like boats, jet skiing, kayaks and so on. The Somerset Bridge Watersports always tries to offer the best service along with exceptional prices. Anybody can check out the packages as well as make a reservation through the company website. 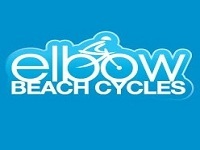 The Elbow Beach Cycles is one of the top destinations in searching the best jet skiing companies in Bermuda. A large number of tourists make a visit from various sandy beaches in Bermuda. 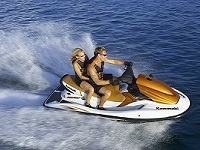 So the jet skiing is one of the most popular outdoor activities and watersports in Bermuda. The Elbow Beach Cycles is always ready to serve their guests through many quality vehicles, boats and a good number of experienced guides. All the guides are polite and properly trained up to ensure the adventure in the safest way. The Sea Venture Watersports is one of the top companies which provides jet skiing opportunities and many other water sports. It also rents all of the jet skiing products. It serves their guests with a good number of professional and skilled guides who make the tour safe and comfortable. Every tour is designed by giving the most importance to the safety issue. The highly experienced guides stay near to the jet ski during every moment of a tour. Bermuda is one of the beautiful and attractive islands in the world. The real beauty of Bermuda becomes more glorious when it is seen from the water. So many kinds of water sports are arranged here which are also so much enjoyable. 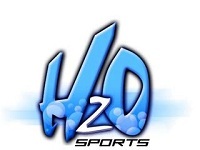 The company, H2O Sports is one of the top companies to arrange the water sports. Jet Skiing is the most popular water sport event to be enjoyed in Bermuda. So to enjoy Bermuda with jet skiing and other water sports, please contact the H2O Sports. The Marine Locker has almost 30 years of previous experience in Bermuda's water events. It provides all high quality equipment needed for snorkeling, skiing, sailing, pleasure or power boating throughout Bermuda. It also sells and services world renowned brands such as Scout Boats and Maritime Skiff. The aim of Marine Locker is to help people enjoy life on the water. Come visit Marine Locker and it will satisfy you by providing whatever you need to stay on the water.